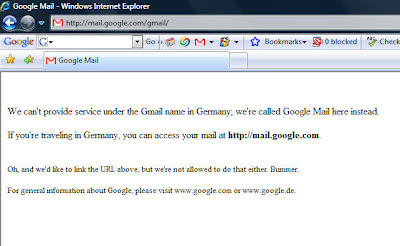 Remember how Google lost the right to use the name 'Gmail' in Germany and was even fined over it? Look what happens when you try and use it anyway (while in Germany). Imagine not even being able to link to the alternative URL. Ouch.